Boils are one of the commonest skin infections in children. Boils are pus-filled lesions that are painful. They are usually firm and located around the waist, face, back of the neck, upper legs, groin, buttocks and under the arm. Clusters of boils are called carbuncles but these lesions are not common in children. Boils are caused by bacterial in hair follicles and surrounding skin that initially appear as pustules. The most common bacteria responsible for boils is called Staphylococcus aureus. 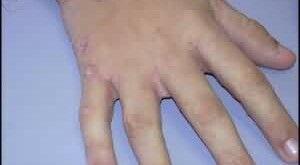 Who is at risk of developing boils? Crowded living environment such as welfare home and institutions. Family members with recurrent skin infections. What are the symptoms and signs of boils? Pus in the center of the boil. Whitish, bloody discharge from the boil. Area of redness around the lesion. Normally associated with pain as well as painful to touch. The diagnosis of boils is usually made by the doctor on the basis of visual examination of the skin. Specific treatment for boils will be determined by the doctor based on the child’s age, overall health and underlying medical illness. It also depends on the child’s tolerance to specific medications. Used warm compress to promote drainage of the lesion. Oral or injection of antibiotics to treat the infection depending on the severity. Removal of the boils (incision and drainage). Patient education is an important part of the treatment of any skin lesions. How can boils be prevented? Wash hand before touching the face. Avoid squeezing boils especially around mouth or nose because of the danger of spreading the infection into other parts of skin or bloodstream. The prognosis for most boils is excellent.